There are people who say “discovering” theorems and properties and relationships help students create and remember connections. There are people who say it’s a waste of time. I think that for students who are committed to an activity and able to understand the task at hand, discovery activities are one of the more powerful learning tools that teachers can use. I am trying to not only incorporate some of these into my Algebra I and Geometry classes, but also tweak them each time we do them so that the students get as much out of it as possible. 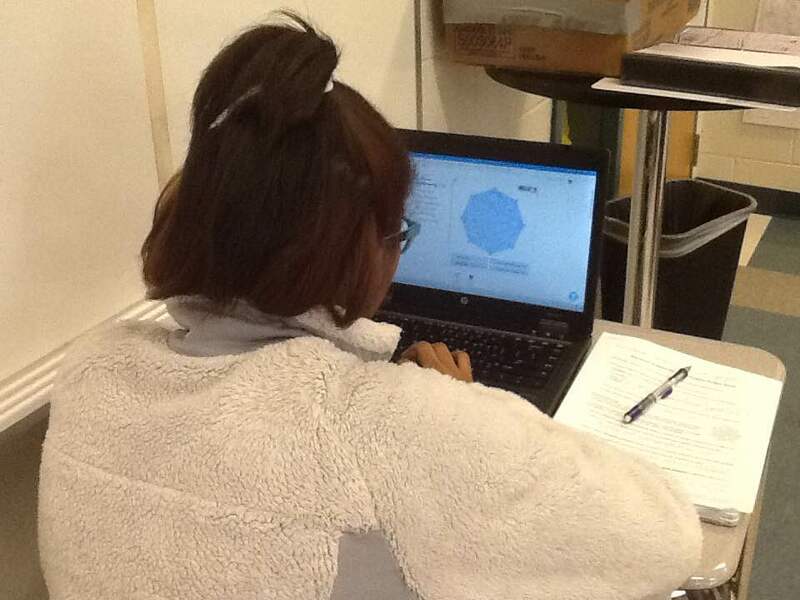 This year, our district has the ability to use Gizmos and this has been a great tool, especially for my Geometry students. On Friday we spent the lesson discovering the polygon angle theorems. 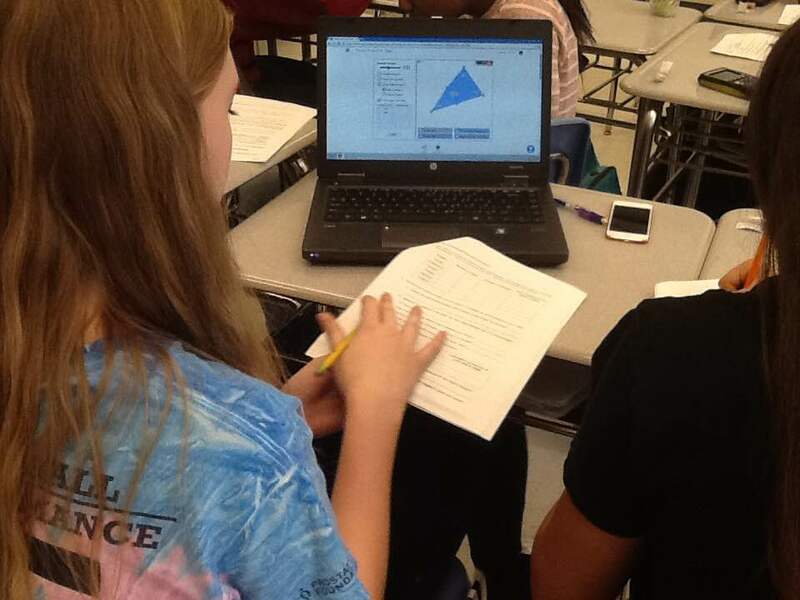 Students were able to see the relationship between the number of sides and the number of triangles within a polygon, and then translate that into the interior angle sum theorem as well as the individual interior angle theorem. They also figured out the exterior angle sum and individual exterior angle theorems! These were done with very little prompting or clarification on my part – I had to explain what the worksheet meant by n-gon a few times but that really was about it. In the first unit of the year the students derived the distance and midpoint formulas. They figured out the relationships between the size of an angle and the size of the opposite side of a triangle. We played around with side lengths to create triangles and not-triangles. I believe that taking the time to do all of these activities has given at least some of my students a better understanding of the concept and better ability to apply that knowledge when solving problems.